A resume is the first step of applying for a job for any potential candidate and resume is the first thing an employer would consider before going for a thorough interview with the candidates. 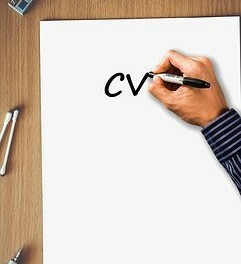 A resume contains all the necessary details of the candidate such as his previous job experiences (if any), academic qualification, professional certifications (if any), relevant skills and contact details. A good resume would arguably be the only first object based on which employers would consider the candidate further, whereas a poor resume would lower the chances at a great level. This is a basic concept which should be clear to the candidates since these days applications come in thousands. Now we move on to some useful and easy tips once can follow to make a good resume with resume examples. Though some of us have an extensive career and the experience might not sum up in one page, however, this is also a fact that employers spend only 6 seconds to scan your resume and decide on you. Hence, you do not need to be very exaggerative, just mentioned the important details about your skills, relevant experiences which is sure to catch the eye. Some employers are there would not consider a resume if they find too many spelling or grammar errors in the same. Hence, after the same is done, it is better to review the same for any errors. You can take help from your friends as well. It is better to follow a template so that you can put all your information in an organized way and it doesn’t look scattered. We generally know that employers spend only six seconds on a resume if you want the hiring people to spend some more time on your resume, make it look consistent with correct information and visually appealing as well. If you have made the header bold, then all the other sub-headers should also be bold. If you have used pointers for one job experience, make it for the next one as well. With all the knowledge provided, the first time many of us make mistakes while creating their resume for the first time. Although you should take the help of your friends and family or any professional to make the best resume for yourself and look for the best job successfully. 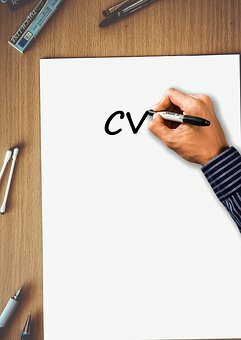 However, if the idea of making a resume seems overwhelming to you, you can bank on the tips given in this article to get the right start.